ARTBOOK exhibited at the second annual Collective Design Fair, New York, held in the historic Skylight space at Moynihan Station (360 West 33rd Street, between 8th and 9th Avenues). 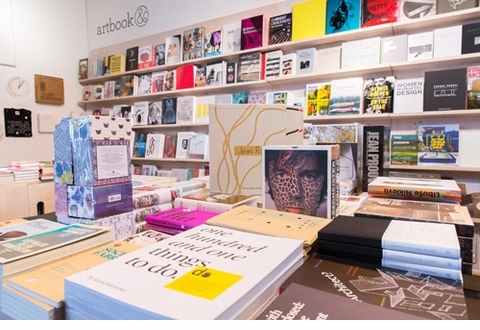 Our bookstore featured an astonishing range of international books on design, art and architecture, alongside a curated selection of limited editions. Take the free shuttle to the Frieze Ferry! Free shuttle service was available during fair hours between 360 West 33rd Street and the 34th Street East River ferry stop. Shuttles ran approximately every 20 minutes. Located at the entrance to the fair, our booth offered a space to linger and browse for new and hard-to-find books on design, architecture, fashion and art. Density is key! In addition to a 25-foot wall of books and several tables for bestsellers, our back wall featured Gerhard Richter posters, Toilet Paper goods for the home, The Thing editions by John Baldessari and Tauba Auerbach and much more. The opening drew thousands of design lovers, who lingered til late. 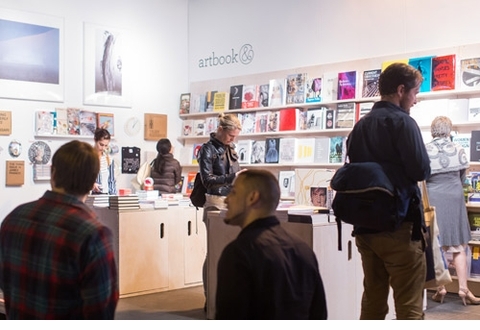 Join ARTBOOK May 8-11 at Collective 2 Design Fair, New York, to be held in the historic Skylight space at Moynihan Station (360 West 33rd Street, between 8th and 9th Avenues). Our bookstore (BOOTH R1) features an astonishing range of international books on design, art and architecture, alongside a curated selection of limited editions.